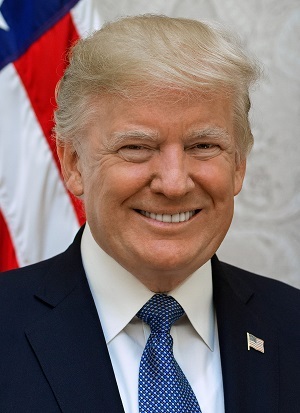 Pew Research Center recently released the results of a survey investigating the differences between how much various religious groups approved of Donald Trump’s presidency and how he has handled holding the highest office in the land. According to the survey, white evangelical Protestants continue to support him in overwhelming numbers. Protestants’ approval for the president’s handling of his job has dropped slightly since the beginning of his presidency. In the earliest days of his tenure, Trump’s approval rating was just shy of 80 percent among white evangelicals. That has since fallen to around 70 percent, but still remains extremely high and is in line with most polls conducted by Pew Research since Trump took office. Mainline Protestants and Catholics, however, have not been quite as pleased with Trump’s work. Both groups hover around a 50 percent approval rating. Nonreligious Americans have been far less happy with his performance. They consistently have the lowest levels of approval and usually hover between 20 and 30 percent approval. While evangelicals approve of Trump, that does not mean that they do not wish he would handle certain things differently. Roughly half of evangelicals feel that Trump failed to set a high moral standard for the presidency, and some evangelical leaders have expressed reservations about his policies. Numerous evangelical leaders have also spoken out against some of Trump’s more controversial comments. Even though Trump is hardly an evangelical’s vision of a good Christian president, white evangelicals tend to be in favor of Trump’s policies. Nearly 75 percent of evangelicals agreed with his plans for a border wall between the United States and Mexico. Part of the reason for this may be that Christians, especially evangelicals, have become increasingly Republican in recent years. More than 77 percent of white evangelical Protestants either are Republican or lean Republican. Catholic support for Republicans has also increased, and Mormon voters have remained overwhelmingly Republican. Religion appears to play a large role in whether or not a group approves of Trump and his policies. This should not come as a surprise given that a person’s faith will influence their worldview and thus every decision they make. It is interesting, however, that a man who has so often been painted as a vulgar blowhard would earn the overwhelming support of a group known for its more traditional values. It supports what many people who voted for Trump said during the election. They voted not for the man, but for his policies. That, or as many on both sides of the aisle did, they picked the candidate they felt was the lesser of two evils. Which idea dominated, however, has yet to be measured.